Home Blog Pets are family. 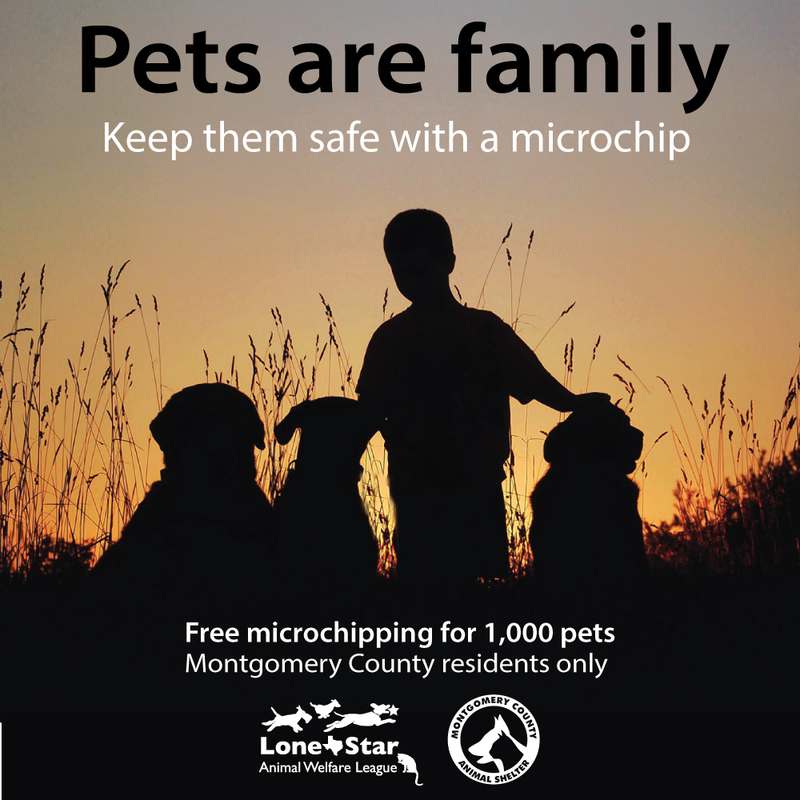 Keep them safe with a microchip! Free microchipping! Lone Star Animal Welfare League is partnering with Montgomery County Animal Shelter to prevent lost pets in our area. One of the devastating impacts of Harvey resulted in many families pets being lost. Without microchips and proper registration this has made it very difficult to find their owners and to get them home. Please microchip and provide proper ID on collars. All cats are to be in carriers and dogs on leashes. Please report to the clinic side of the shelter at 8535 Hwy 242, Conroe, TX 77385.